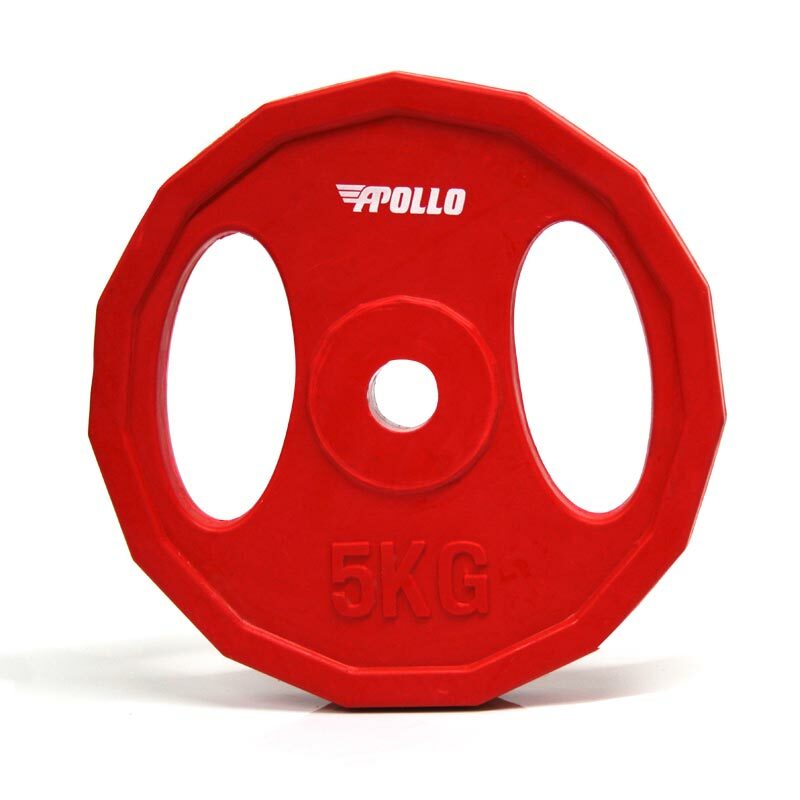 The Apollo Studio Barbell Plate 5kg is must have piece of equipment at the gym or your home studio. Perfect for weightlifting with the Apollo Studio Barbell Bar or can be used on its own using the hand grips on either side of the plate. Top quality high energy absorbing attractive rubber radial design. Colour-coded design for easy weight identification. Hand grips on either side of the plate. 27mm diameter at the centre of the plate. Can be used with the Apollo Studio Barbell Bar (sold separately). Please search on our website for Apollo Studio Barbell Bar and Collars.